Discover why your fears about root canals are likely unfounded. 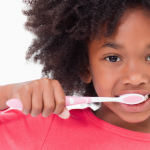 So how do you know when you need root canal treatment? What does the process involve? How hard is it to find an affordable endodontist? We will examine these questions and other common concerns about this highly misunderstood treatment in the article below. Now that we have the terminology cleared up, let’s talk about why someone might need root canal therapy. One of the reasons people are afraid of root canal therapy is that they associate it with its very uncomfortable cause—an infection. Once a tooth becomes infected at its base, root canal therapy is the only way to save it. An infection may be caused by an injury, such as a crack or fracture to the tooth, or an especially deep cavity. Oftentimes, the causes of infection go unnoticed. By the time you need to get root canal treatment, the pain from the infection or abscess could be significant. The process of fixing it might seem unpleasant, but it’s worth clarifying that the pain is caused by the affliction and not the treatment itself. Maybe you dread the idea of root canal therapy because you have unrealistic ideas about its duration. How long do you think a typical procedure takes? Four hours? Five? Six? Most people drastically over estimate the procedure time, which averages from 30 to 90 minutes when performed at the same visit. In the past, doctors separated root canal procedures into two or more appointments. As technology advanced, it became possible to perform the procedure in one sitting without compromising quality. Endodontic treatment becomes necessary when the pulp—the living tissue made up of nerves, blood vessels, and connective tissue—becomes infected or inflamed. If that pulp tissue dies, then the infection can spread into the bone around the teeth, which is extremely dangerous and can lead to permanent bone loss. The infected pulp must be removed and the root canal cleaned and filled so that it will not become infected again. Depending on your specific case, you may be recommended to complete treatment in one or two sittings. If you decide on two, then each visit will have a specific purpose. The first will focus on the task of cleaning and shaping the root canal system, while the second will be devoted to filling and sealing the tooth. 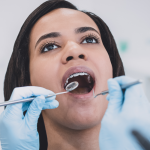 After performing a root canal treatment, the endodontist applies a permanent tooth filling to protect against bacteria (and thus, future infection.) In many cases, you will also need to return to the dentist for a crown fitting because your weakened tooth is at a higher risk of fracture. Remember that unlike tooth extraction, root canal therapy is a dental solution that allows you to keep the tooth. A crown acts as an extra support for that tooth and restores its natural appearance. 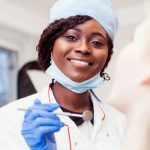 Where Can I Find an Affordable Endodontist? Penn Dental Medicine performs root canal therapies and other endodontic treatments at discounted rates. We are an affordable dental clinic that operates out of a dental school, providing premium care to people of all ages and every walk of life. 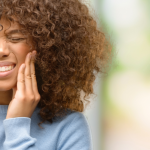 If you’re reading this blog because you’re worried about deep tooth pain, sensitivity to hot or cold, severe or constant pain, or a dull ache and pressure in your jaw, you need to seek care with an endodontist. You can schedule a consultation with one of our Penn endodontists at low cost by calling our offices at 215-898-8965.